Normally on the days BLS releases its monthly report, I write what kind of jobs the economy created – mostly lousy, low-paying and often part-time without benefits. This month, I’m instead going to write about people who lost their jobs to foreign-born workers. CAPS has extensively chronicled the corporate displacement of American workers by H-1B visa holders: Disney, Caterpillar, McDonalds, Abbott Labs, Microsoft, Google and a raft of others have fired high-skilled, well-paid American engineers and replaced them with cheaper, less-skilled overseas workers, a scandal that Congress is aware of but doesn’t care about. Some might argue that since the tech workers have college diplomas and often advanced degrees, they’ll eventually land on their feet. But in 2012, the Center for Immigration Studies found that more than 100,000 American-born engineers are unemployed, another 244,000 have an engineering degree but are detached from the labor force, and still another 1.5 million Americans have engineering degrees and jobs but not in tech. High-skilled Americans who get fired face tough sledding. But low-skill, low-pay American workers have it harder. When their lost jobs go to foreign-born workers who earn even less, taxpayers get hammered. 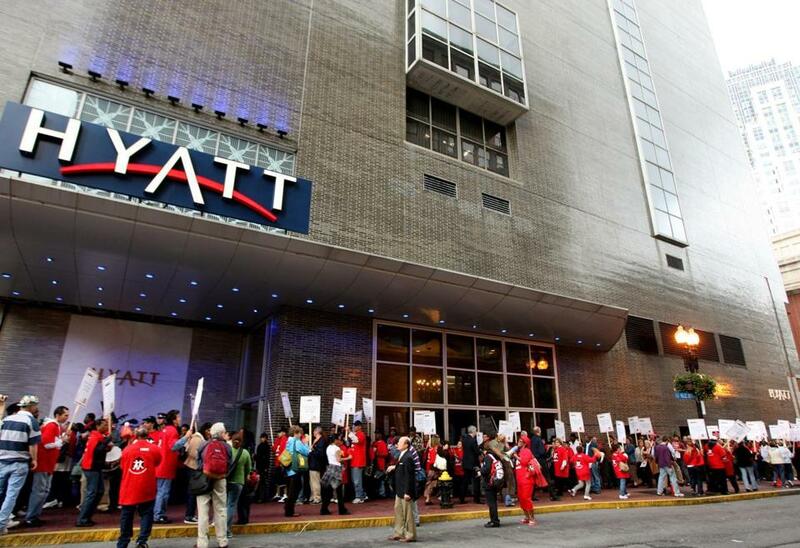 In 2009, a Hyatt Hotel in Boston fired housekeepers who earned $17.00 an hour, plus benefits, could pay their bills, and had modest savings. They were replaced by aliens paid $8.00 an hour without benefits who took on double the workload. The fired housekeepers became known as the Hyatt 100. Few American workers are safe from displacement by foreign-born labor. As a callous President Obama dispassionately looks on, Americans continue to lose their jobs to nonimmigrant visa holders and illegal immigrants. Symbolic of Obama’s indifference to the plight of American workers, two days before BLS published its September report, the U.S. Citizenship and Immigration Services announced that work permits for amnesty petitioners would be extended from one to two years.